On arrival at the Maldives Airport you will be met by our local representative for your transfer to the hotel. After you check in at the hotel, spend the entire day at leisure. Enjoy dinner at the hotel. Overnight at the hotel, Maldives. Enjoy breakfast at the hotel. 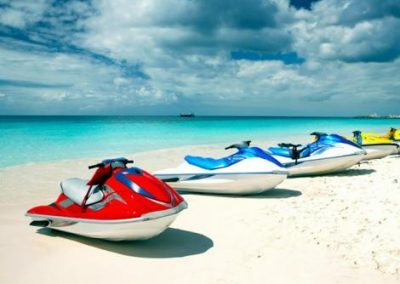 Full day is free for water sports like parasailing, jet skiing, water scooter etc. Dinner would be at the hotel; Overnight at the hotel, Maldives. Enjoy breakfast at the hotel. Full day is free for leisure activities like scuba diving, snorkeling etc. Return and have dinner at the hotel. Overnight at the hotel, Maldives. Enjoy breakfast at the hotel. Full day is free for you may go for fishing trip with picnic basket on a private boat. Dinner at the hotel. Overnight at the hotel, Maldives. Enjoy breakfast at the hotel. You will be met by our local representative at the hotel lobby for your transfer to the Airport in time to board your flight back home. Take home fond memories of your relaxing holiday.